Most companies need money to grow especially companies executing fast growth and entering new markets. The capital markets in the US are a giant ocean consisting of many species of aquatic life. Some species are helpful while some are threatening. Some are nourishing while others are toxic. To navigate alien waters, Companies need the capital raising equivalent of a marine biologist. Capital raising services will help you discern the best type of capital for your particular growth plan. Many owners have had little experience in capital raising on their own aside from raising money from family and friends. They may not understand the professional standards of presentation required or standard capital structures that are available. Moreover, they may lack experience pitching their company or the contacts needed to get in front of the proper capital raising audience. Finally, most owners tend to have blind spots as to weaknesses of their companies. They are too close to their companies and hence lack objectivity to see that their baby might be a tad bit ugly. Given these limitations, the need for outside capital raising services is quite obvious. 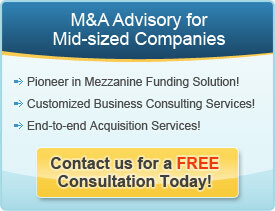 Professional capital raising services will provide expert objectivity and constructive presentation advice. They will provide capital structure options that are obtainable and put you in front of the right audience of capital providers. The key to securing the capital raising services is to ensure that you get someone with experience. The true experts, the marine biologists of capital raising, will structure your deal, present your deal and connect your deal to the right audience in the optimal way, giving your company capital strength for continued floatation and navigation.